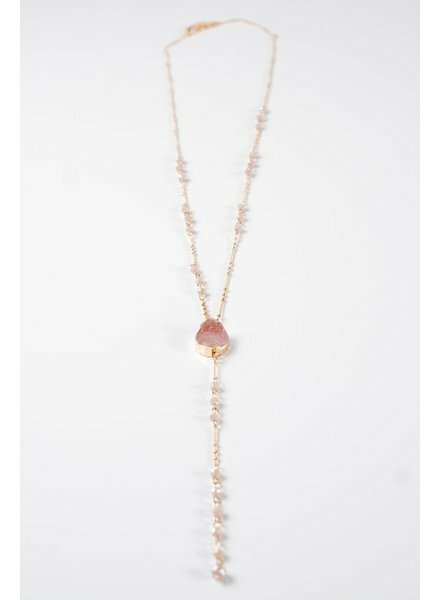 Gold tone, thin, long Y style necklace with small irredescent blush pink beading and a circular blush druzy stone. Necklace measures 18 inches long with an optional 2 inch extender. 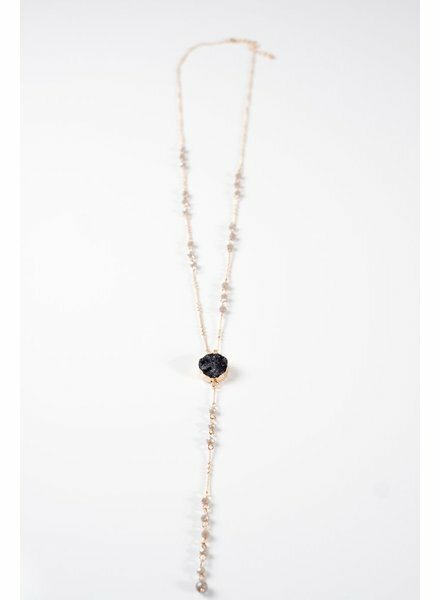 Gold tone, thin, long Y style necklace with small irredescent grey beading and a circular charcoal druzy stone. Necklace measures 18 inches long with an optional 2 inch extender.